Not my colours, not my favourite design, but hey — when you do community quilts, you get to quilt what’s been given to you 😉 And that’s part of the fun of the challenge! 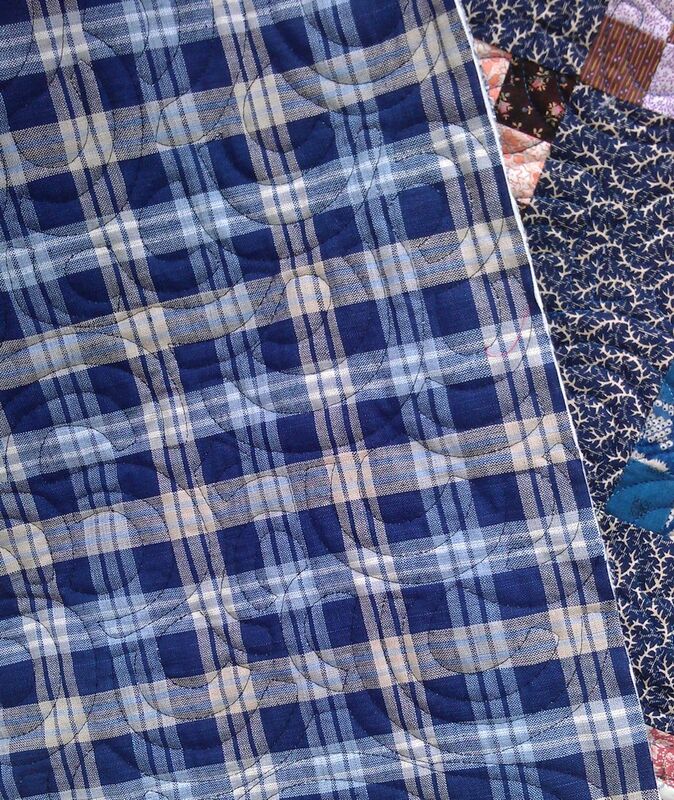 For this one, I decided to use a matching variegated dark blue thread so that it disappeared into the quilt and didn’t try to overpower it. 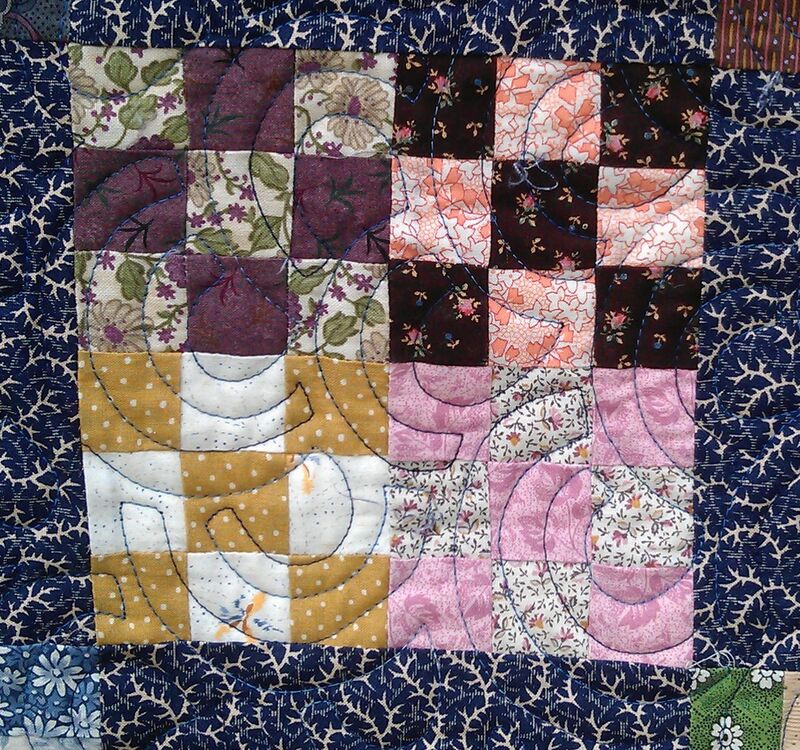 I also used a squared off ‘open headband‘ motif because I wanted to add some curves to the very geometric quilt design, but flowers etc. 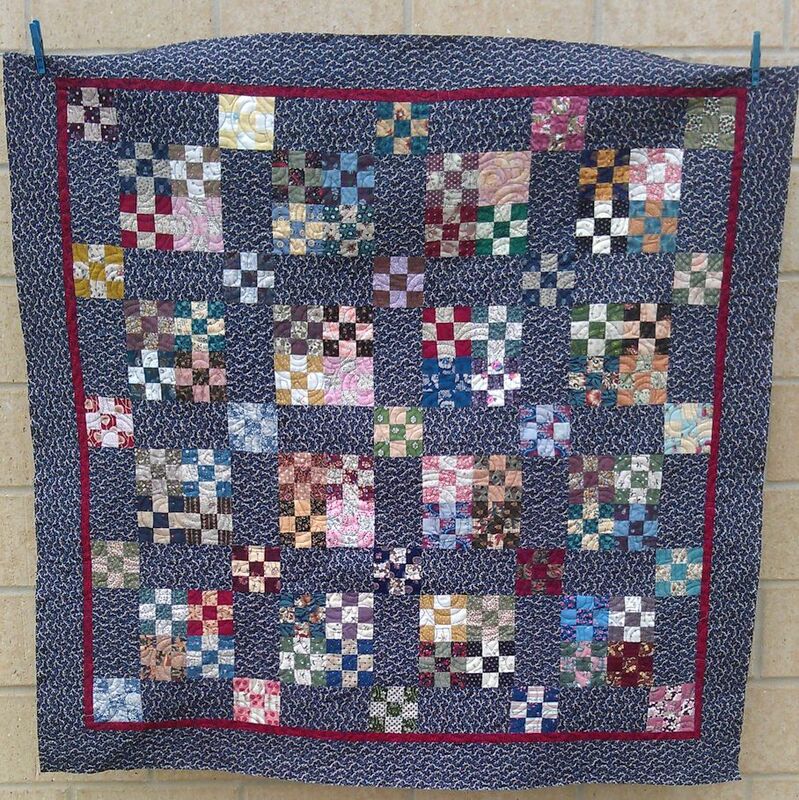 weren’t going to work for this fairly dark and masculine quilt.